"I get to help all types of animals from Koalas to Fish and everything in between." Just being around Bree has a calming influenceOn animals and humans her dedication, knowledge and love of all God's creaturesis quiet evident from your first meeting. Not to mention her beautiful face and ever welcoming smile just the person we need to see on our TV's. Dr Bree is a phenomenal vet and a pleasure to work with. I've seen her worth with ease with aggressive dogs and cats, calm the nervous pets and love everything in between. Such a knowledgable vet and would be an asset to Bondi Vet. Dr Bree would make the best Bondi Vet! She treats all animals with a beautiful heart and a beautiful smile, but as a wildlife carer she has been my greatest asset with caring for Koalas, Possums & Kangaroos! She has bought them back to health when no one else could! Dr Bree would make an outstanding "Bondi Vet " Cheeky my bird even agrees with me . Dedicated & so knowledgeable & loved by humans & animals that have had the privilege to cross her path . Go Bree ! Dr Bree would make a great 'Bondi Vet'. She is funny, quirky and just a good person. Not to mention talented when it comes to treating animals from all walks of life. Go Bree! you wont find a more down to earth, gorgeous inside and out person! Bree's passion for animals and love for her job are the things that make her stand out from the crowd! #Bree4BondiVet. You have my vote! Dr Bree is the most amazing wildlife vet out there. I'm a wildlife carer and she has done an amazing job caring for the many animals I have taken to her including orphan baby possums, blue tongue lizards, cockies, you name it and she can treat it! 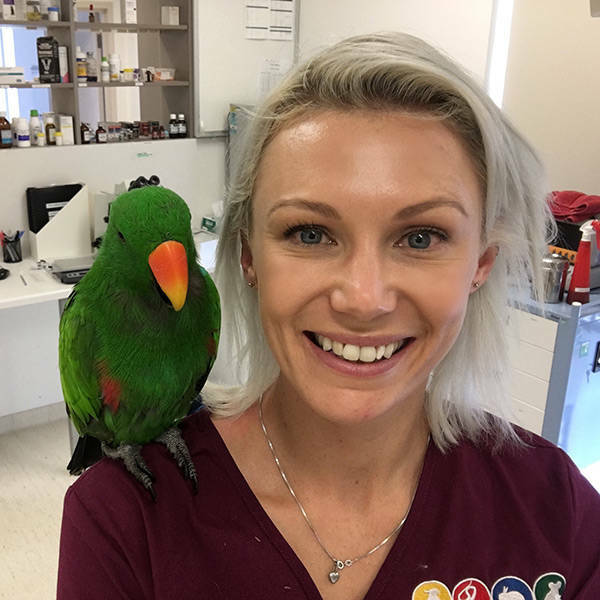 Dr Bree would be perfect for Bondi Vet; she has the brains, passion and personality that the show demands.